Twice a week, Dr. Patty imparts timely information about herbs and supplements; she also relates relevant success stories she's heard in the past week. 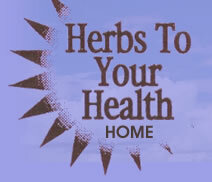 People who call in to ask questions receive the knowledge of an experienced herbalist. Listeners also receive historical uses of plants as well as news about supplements. Dr. Patty hopes to inspire each person's inner healer as they get well, keep well, and grow old without aging. Listen to Dr. Patty's radio show, Mondays and Thursdays from 1-2PM on WKHB AM 620.